Do you ever feel like you are taking on hell with a water gun? What I mean is, do you ever feel ill equipped to accomplish that which is set before you due to the many obstacles and distractions that tempt you, push and shove you away from your goals and purposes? I have felt like this recently. And what I have discovered about myself is that my prayer life is shallow. Not in a trivial sense, but simply in terms of depth. How do I expect to carry out the tasks set before me when I am spending so little time in prayer? Why am I so reluctant to stop and ask the Creator and King of the Universe for guidance, wisdom and help? 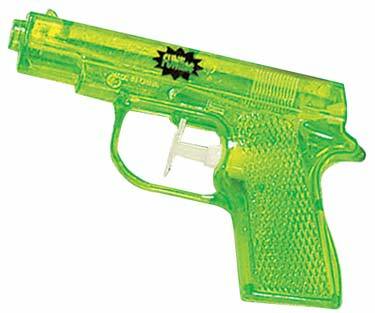 Why do I wake up, say a quick prayer for safety and care for my friends, loved ones, missionaries, and colleagues, and then charge the gates of hell with my plastic water pistol when what I need is the force of Niagara Falls? This is good truth. So why, then, do I cower from prayer when I need it most? It’s probably my own pride and tendency toward a “performance=acceptance” attitude about my relationship with God. Which is so absurd because “performance=acceptance” is completely contrary to what the Bible says about mercy, grace, and faith. The truth is, I will never earn righteousness in the site of God, so what good does it do me to wait until I “feel good” about praying to intercede? thanks for the reminder. i needed this today. p350 of The Irresistible Revolution, Shane Claiborne tells a Steve Chalke illustration about…. “A kid stumbles across a raging house fire. As he looks around, he notices a water hose, which he quickly grabs, but then, as he frantically goes to put out the fire, he notices something else, something peculiar. Last night I went home and just opened my Bible and prayed. I was/am discouraged from facing this daunting world, discouraged from “taking on hell with a water gun.” Sometimes God seems so distant and unreachable. Last night I felt like my prayer was one of those “worst prayers.” C.S. Lewis might be on to something here – our worst is really the best we can offer. To sit before God entirely vulnerable and just cry out “I want to run into your embrace, God,” I desire a physical embrace, but what I get is an emotional embrace. It’s hard for me to know that those “emotional embraces” are spiritual empowerment. I feel no more impactful in the fight with hell today. But that “worst prayer” was just reinforcement that I will NEVER conquer hell with my wimpy water pistol. This is just the God of the universe spraying me (his firefighter) with a hose to wake me up. Tough to understand and act upon in a backwards world. PREACH IT SISTER!!!! I have been telling Jon for the last few weeks that I have been having this problem. The only words that I could use to describe it to him were that I just felt inadequate to accomplish what God wants me to. You nailed it!!! I constantly live in what I call tension. I am living in this world, but I know that God has called me to live for Him in this world and I feel inadequate. You have encouraged me to get on my knees and to pray. I mean pray like I have not prayed in forever. On my face in my living room floor prayer. So, I am doing that right now, since Carlee Hayse is napping, I can do that. Thanks for your words. They always encourage me in ways that you will never understand.